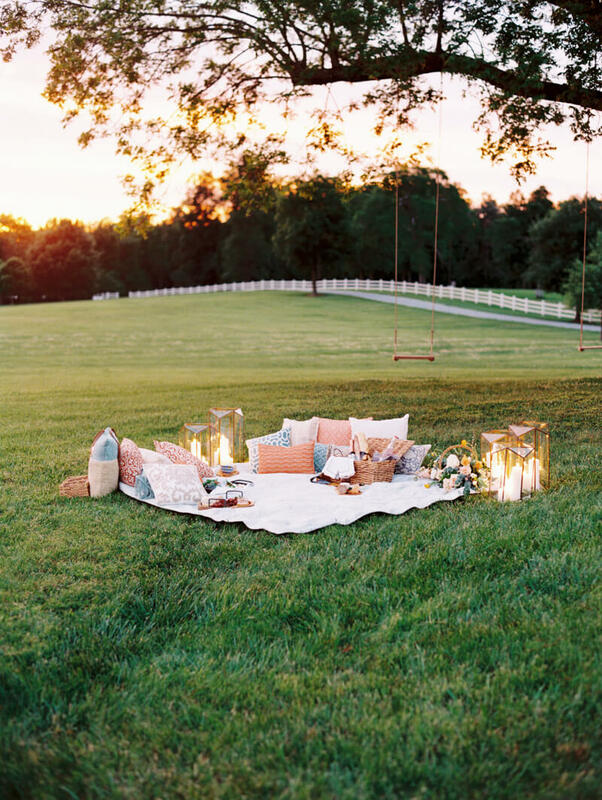 This lifestyle shoot at Adaumont Farm in Trinity, N.C., celebrates married life in a sweet and sentimental way. Sarah and Austin previously owned the venue and were married there just five years ago. They used this opportunity to escape the hustle and bustle of everyday life and enjoy the simple pleasures of being married. Sansaara Photography worked with Michelle Wright Events to create a romantic setting for this modern day couple. 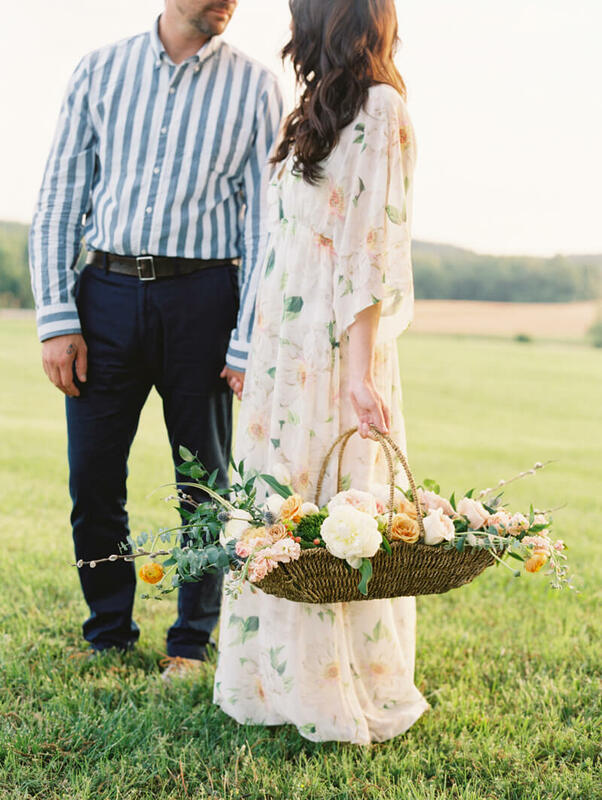 Sarah wore a long, floral maxi dress while Austin chose a striped long-sleeved shirt and blue pants – perfect for a picnic. Green grass and windswept wheat grow as far as the eye can see. And, just like magic, there’s a gorgeous shade tree right in the middle with swings beckoning for visitors. Sarah pauses reflectively before she’s joined by Austin. The photographer also captures her beautiful wedding rings, too. 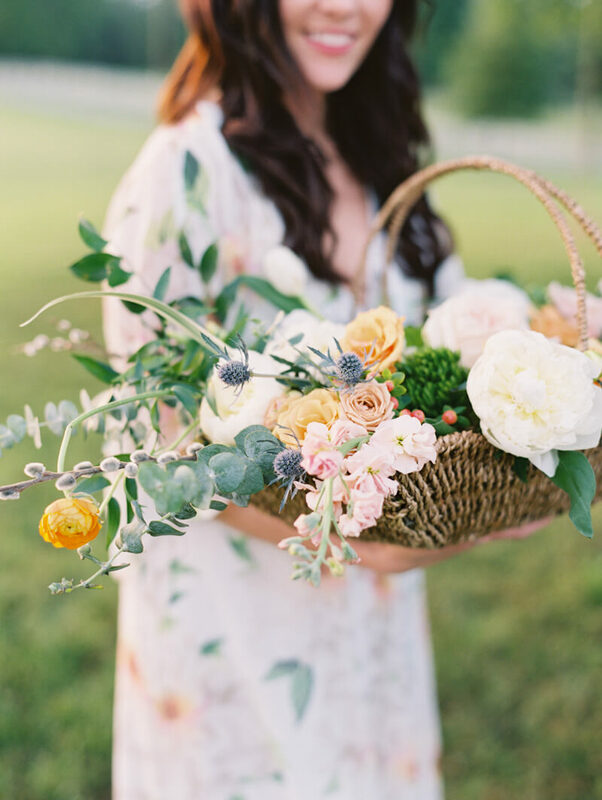 Sarah carries a basket of radiant flowers that infuses lively color and channels a soft romance. 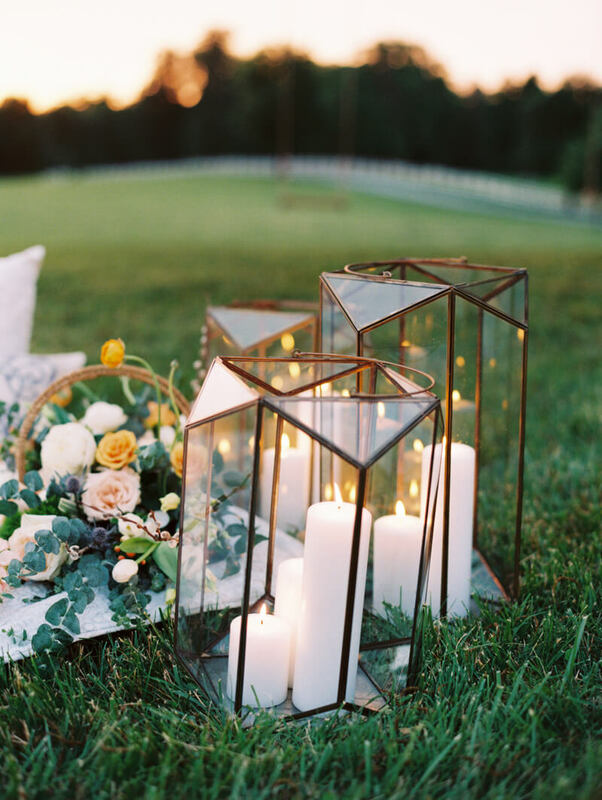 As the sun sets, Sarah and Austin make their way to a gorgeous picnic scene outfitted with geometric lanterns and loads of stylish pillows. Artisanal delights – drinks, jams, cheese and nuts – are the perfect treat to enjoy on a blanket outside. Their picnic includes baskets of assorted snacks that look as lovely as they are tasty. The final shot is the best – a glowing picture of two people still endlessly in love. You never have to stop celebrating being married just because the wedding day is over. Sarah and Austin visited one of their most cherished places and took the time to relish in an intimate escape. 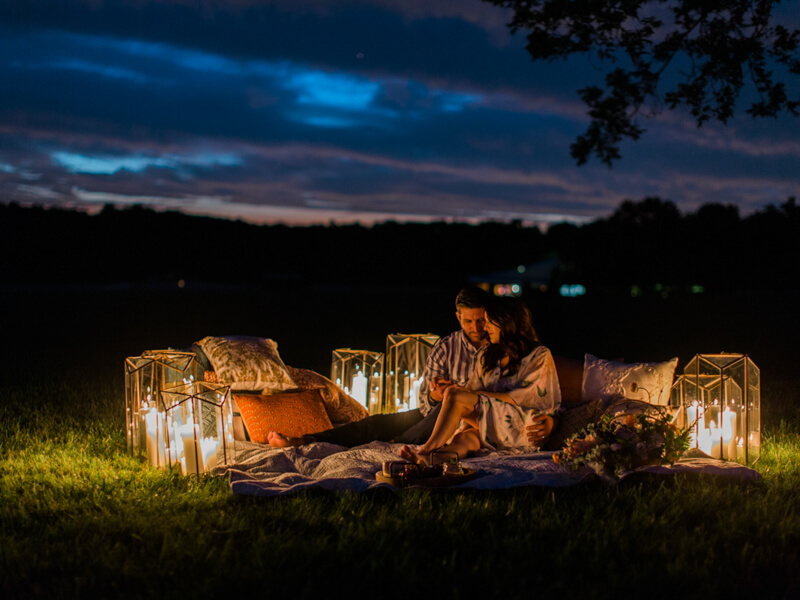 Maybe it’s a stroll around a farm, maybe it’s a shared meal over sunset – whatever you do, never stop enjoying the simple pleasures in life together.